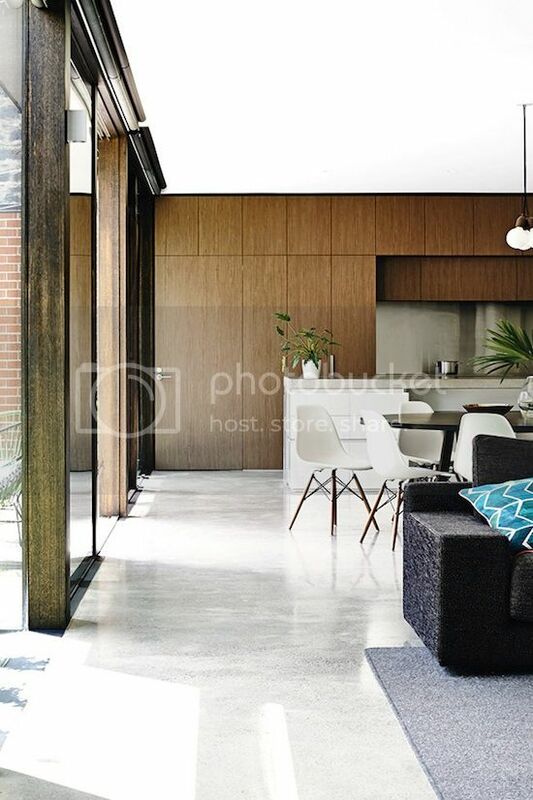 Beautiful light and modern home in Melbourne, Australia. 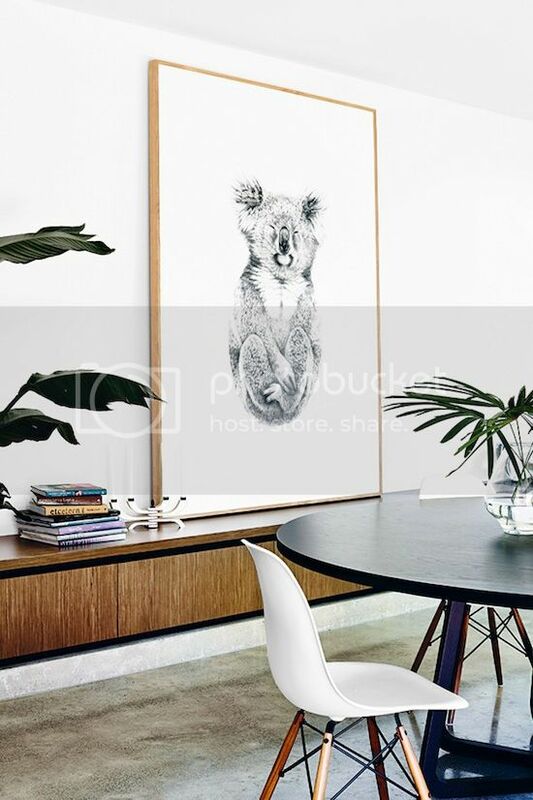 My favorite details have to be the Koala drawing by Carla Fletcher (too cute! 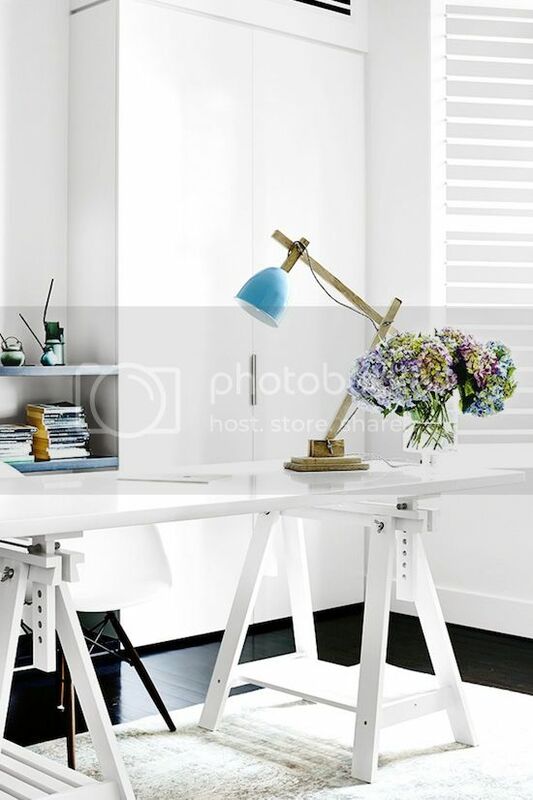 ), the blue desk lamp, the nook within the black shelves and the minimal black and white bathroom. 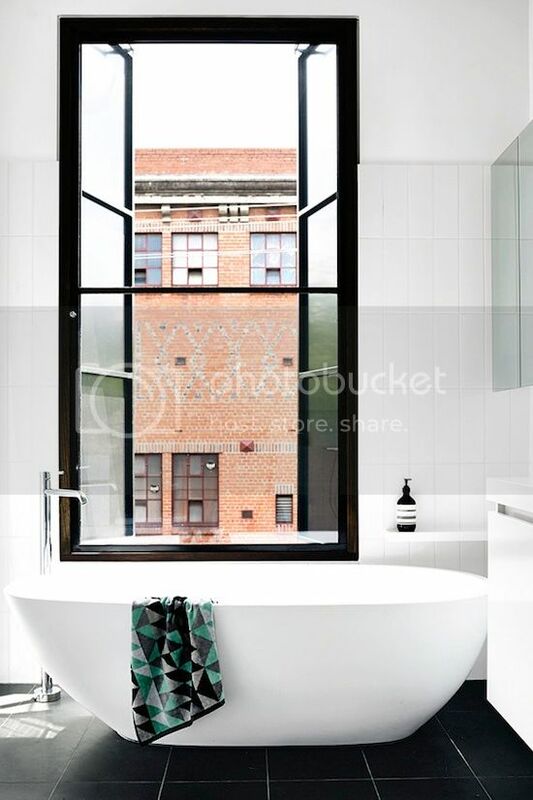 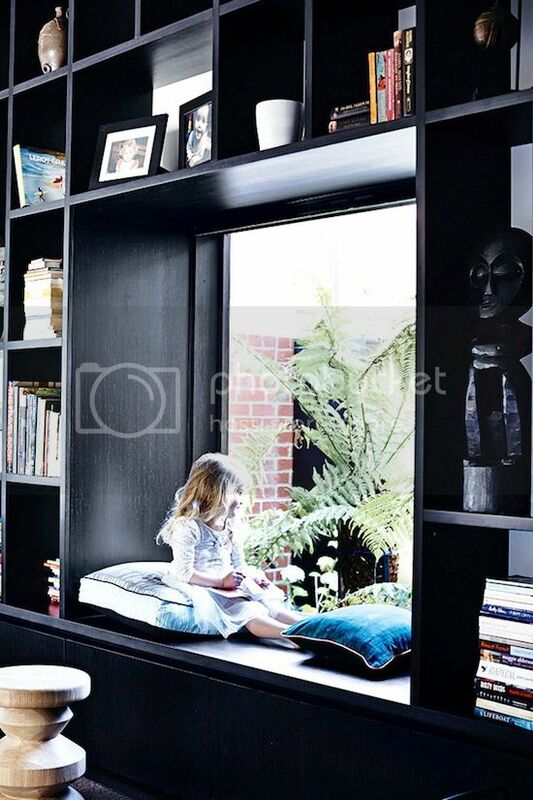 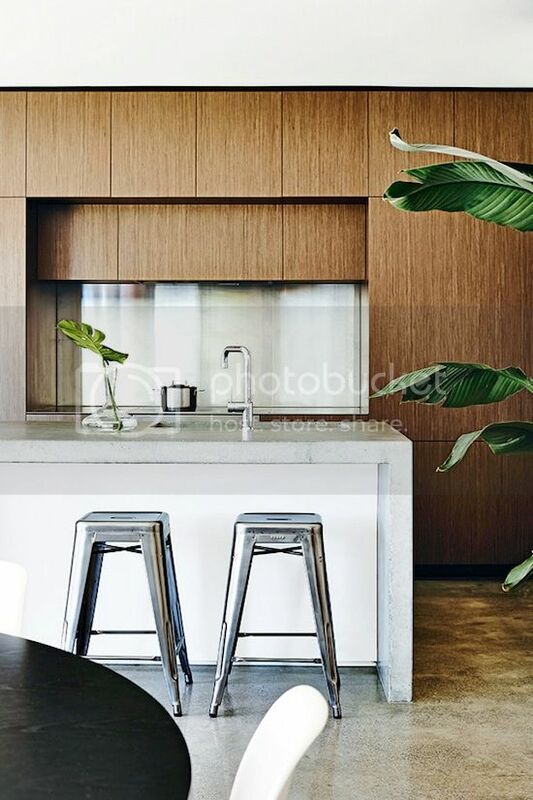 See more from this Melbourne home.